If you were confronted with the news of a burglar in your neighborhood, your mental checklist would probably include the locks on your front and back doors and windows. However, strong as it may seem, your garage door is not impervious to physical threats. If you want to make your home safer and provide your family with peace of mind, use the following garage door repair and upgrade tips to enhance the security of this entry point. Many garage doors are ornamented with windows, either for their aesthetic quality or to let in natural light if you use the room during the day. However, even small frames allow burglars an easy peek inside, which will quickly reveal the items you’re attempting to keep safe. Luckily, you can avoid this by having a garage door repair company install a windowless model. In the meantime, keep valuables inside your home to avoid further temptation for theft. After you pull into your garage after a long day with a trunk full of groceries, it’s easy to forget to go back and close the garage door. While you might remember a few hours later, a lot can happen in that time, or you might even accidentally leave it open overnight. 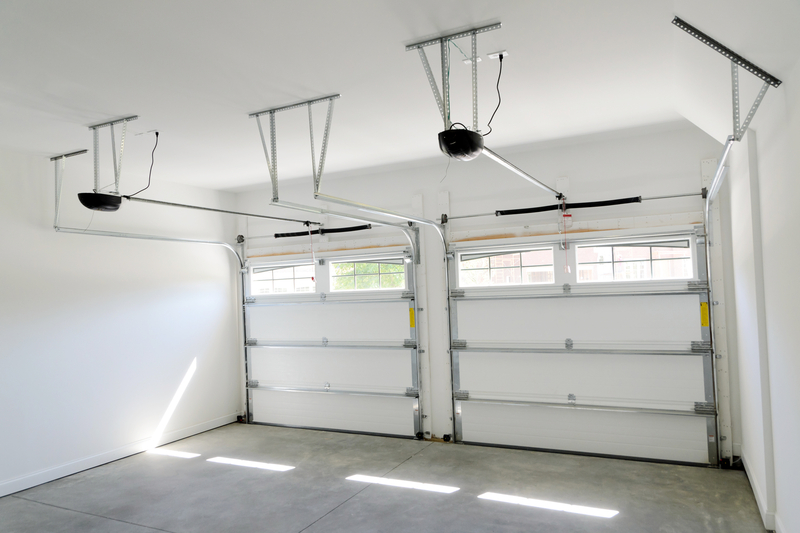 To avoid extending an open invitation to passersby, invest in a garage door that automatically closes after being left open for a certain amount of time, such as 20 minutes. Advancements in technology have made motion sensor lights readily available for home security systems, and you can use them to prevent forced entry through your garage door. Immediately after sensing the nearby motion of a criminal, these mechanisms will trigger bright lights on the exterior of your home. In addition to likely scaring off burglars, these lights will adequately illuminate the scene, making it easier to witness the crime firsthand or capture it on a security camera. If you’re interested in bolstering your home’s security, turn to Woodall Heating & Cooling, serving the Wiregrass, AL, area. While they do offer HVAC services, this family-owned and -operated company also tends to garage door repairs and installations. For more information on their wide range of services, visit their website. You can also call them at (334) 347-1243 to schedule a garage door repair appointment. Other Announcements, Events and Deals from Woodall Heating & Cooling, Inc.
What's the Best Material for a Garage Door? A. Woodall Heating & Cooling, Inc.